The new Trilithic 860 DSPh is the ideal instrument for managing signal quality in remote headends. 860 DSPh Remote Headend Analyzer by Trilithic Broadband Instruments provides continuous visibility of signal quality, at a price that makes general deployment practical. Refreshes all carrier amplitude measurements every 30 seconds (single port). Allows multiple trap definitions for multiple operators. Also Traps on sudden changes in parameters. Browser-accessible for data uploading and troubleshooting. Internal switch allows monitoring of up to four ports (with Option). 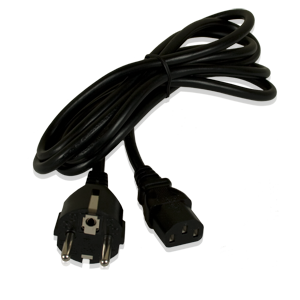 With 1U Adaptor, monitors up to 16 ports (with Option). Trilithic's 860 DSPh is the ideal instrument for managing signal quality in remote headends or other facilities where access is restricted or local technical personnel are not available. Using a network of 860 DSPhs, operated through Interrogator monitoring Application Software, the operator can monitor signal quality at many sites throughout his system from a single location and be alerted to problems quickly if they occur. Depending on options, each 860 DSPh remote headend analyzer can monitor the performance of up to sixteen independent inputs. The DSPh remote headend analyzer is usually set to operate automatically, monitoring key forward and reverse parameters, logging and analyzing measurement data against user-programmable limits. If a parameter falls outside of limits, the 860 DSPh can dispatch a range of SNMP traps to multiple destinations, where Interrogator Monitoring Application Software alerts the operator to the problem. The 860 DSPh can also detect rapid changes in measurement results for a given channel and generate a warning trap. The operator may take control of the Trilithic DSPh remote headend analyzer directly and use its powerful analytical tools to determine the cause of the problem. Rack mounted (2U) unit that increases the number of inputs monitored by a single 860 DSPh from four to sixteen. The complete kit includes: 860 DSPh Input Expander rack mounted (2U) unit, and interconnect & control cables. REQUIRES 860 DSPH RACK MOUNTED ANALYZER. Rack mounted (1U) unit for monitoring downstream analog and digital services. Monitored parameters include, Signal Level, Digital Power, C/N, HUM, Depth of Modulation, FM Deviation and MER & BER. Access measurement and channel status over the web with an Internet web browser or 860 DSPi. Each 860 DSPh monitors four ports as an integrated component of the Guardian System II or as a stand-alone monitoring system. The complete kit includes: 860 DSPh rack-mounted (2U) unit, 120/240 VAC Power Supply and AC US Power Cable. REQUIRES WORKBENCH LITE OR WORKBENCH PC SOFTWARE FOR CONFIGURATION. REQUIRES INTERROGATOR SERVER SOFTWARE FOR ANALYSIS. Rack mounted (1U) unit with a Euro Power Supply for monitoring downstream analog and digital services. Monitored parameters include, Signal Level, Digital Power, C/N, HUM, Depth of Modulation, FM Deviation and MER & BER. Access measurement and channel status over the web with an Internet web browser or 860 DSPi. Each 860 DSPh monitors four ports as an integrated component of the Guardian System II or as a stand-alone monitoring system. The complete kit includes: 860 DSPh rack-mounted (2U) unit, 120/240 VAC Power Supply, AC US Power Cable and AC Euro Power Cable. REQUIRES WORKBENCH LITE OR WORKBENCH PC SOFTWARE FOR CONFIGURATION. REQUIRES INTERROGATOR SERVER SOFTWARE FOR ANALYSIS.